Home > Music CDs > African > Mahube - Qhubeka! From the crisscross rhythms of Malawi and Zimbabwe down to the choral splendour of the south, and bass lines so thick you can taste the syrup, and so much more in between - truly we have more riches than gold. 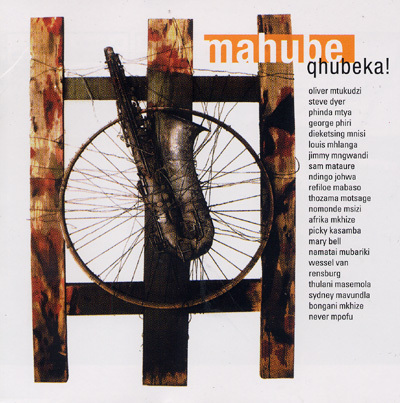 Mahube is a celebration and exploration of music in Southern Africa. The music on "Qhubeka" is drawn from original compositions and adaptations and new arrangements of traditional songs. "Qhubeka", meaning carry on or keep on moving forward, is a sparkling array of songs drawn from our region. The title track with vocals by Phinda Mtya alludes to the sun that can be seen on the horizon. Stylistically, it draws on the marabi and mbaqanga urban South African tradition mixed with elements of kwasa kwasa guitar that has become a feature of much current popular music. Mahube (Tswana for new dawn) was formed and driven by a need to strengthen musical ties between different regions in Southern Africa. We live in a world where ignorance breeds mistrust between people from different countries. Music can help to act as a bridge of understanding.